I wrote not long ago about a Missouri court which made the (rather difficult) distinction between trade secrets and confidential information. Most states have enacted a version of the Uniform Trade Secrets Act, which provides for an independent cause of action relating to theft of economically valuable information - whether prohibited by contract or not. Similarly, many employees in the digital age are now bound by some form of non-disclosure agreement, limiting their use or disclosure of certain types of confidential business information after their employment ends. 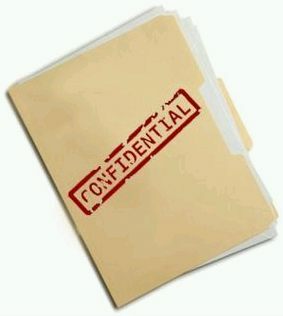 Often times, courts blur the distinction between trade secrets and other forms of confidential information. In Illinois, courts have long hinted that such a distinction exists. For instance, a non-compete agreement can protect an employer's legitimate interest in misuse of confidential information, whether that rises to the level of a trade secret or not. Without actually formulating a test, Judge Shadur has noted that the concepts are not at all identical. Still, practitioners can find with relative ease a number of reported cases where judges misapply the trade secrets test to other forms of confidential information, usually concluding that a non-disclosure covenant has not been breached or that a non-compete is not enforceable. In a recent federal district court case, Judge Pallmeyer took the analysis a bit further, actually defining what "confidential information" was and noting the distinction between it and trade secrets. In SKF USA v. Bjerkness, the court concluded confidential information is "particularized information disclosed to [the employee] during the time the employer-employee relationship existed which [is] unknown to others in the industry and which give[s] the employer advantage over his competitors." The key analytical difference between confidential information and a trade secret? Judge Pallmeyer notes: "Confidential information, then, does not necessarily require positive steps by the employer to maintain the secrecy of the information, though such efforts may be relevant in the court's consideration of whether the information is truly confidential." Customer information is an example of where this distinction may be meaningful in practice. Many cases hold that customer-specific quotes, price sheets or invoices (which may reveal buying habits, rebates, volume discounts and key contact information) does not rise to the level of a trade secret because the customer is free to do with this as he pleases. However, it may be confidential in the objective sense because in most cases the information would only be available to a select few and not publicly advertised (such as a retail price sheet, for instance).